To celebrate Maxim Kontsevich’s new award, Friends of IHES took advantage of his visit to the United States to receive its Breakthrough Prize in Mathematics, to organize a conference on his work at the Simons Foundation in New York. It took place on November 18th, 2014 at the Gerald D. Fischbach Auditorium, Simons Foundation. Two of Maxim’s close colleagues, Tony Pantev and Anton Kapustin explored some of his contributions to the field of mathematics and their interactions with physics. Since the time of Isaac Newton, there has been a flow of ideas between mathematics and physics, which greatly influenced both fields. In the 20th century, both physics and mathematics underwent revolutionary changes and for a time parted ways. Over the last three decades, the interaction has been renewed, in a significant part thanks to the work of Maxim Kontsevich. The ideas and methods of modern quantum theory have been used to address classical mathematical problems in geometry and topology. String theory in particular was a fruitful source of such ideas. In his talk, Kapustin will attempt to give a glimpse of one instance of this interaction: the concept of quantized space-time. Anton Kapustin grew up in Moscow, Russia (then Soviet Union). He studied physics first at Moscow State University and then at the California Institute of Technology where he got his Ph. D. in 1997. After spending four years as a researcher at the Institute for Advanced Study, he became a professor at the California Institute of Technology. Currently he is a professor at the Simons Center for Geometry and Physics, Stony Brook, New York. 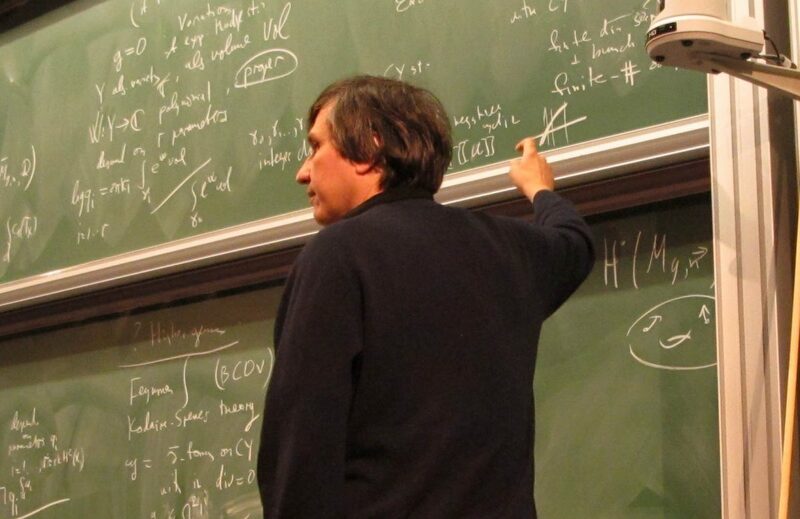 His main areas of interest are quantum theory and mathematical physics. A trademark feature of Kontsevich’s mathematical vision is his ability to penetrate and unravel geometric complexities by distilling them through algebraic and categorical constructions. In this lecture, Pantev will review Kontsevich’s groundbreaking work on geometric dualities and categorical mirror symmetry. He will focus on insights that have revolutionized long accepted theories and altered established mathematical paradigms. This will include snippets of Kontsevich’s work on commutative and non-commutative Hodge theory, wall crossing, spaces of stability conditions and motivic enumerative invariants. Pantev will also discuss applications to symplectic topology, the special geometry of integrable systems, and topological quantum field theory. Tony Pantev received his Ph.D. in 1994 from the University of Pennsylvania. He was a C.L.E. Moore Instructor at MIT, a Sloan Research Fellow, and has held visiting positions at the Isaac Newton Institute in Cambridge, England, the Centro de Investigación en Matemáticas in Guanajuato, Mexico, Ohio State.